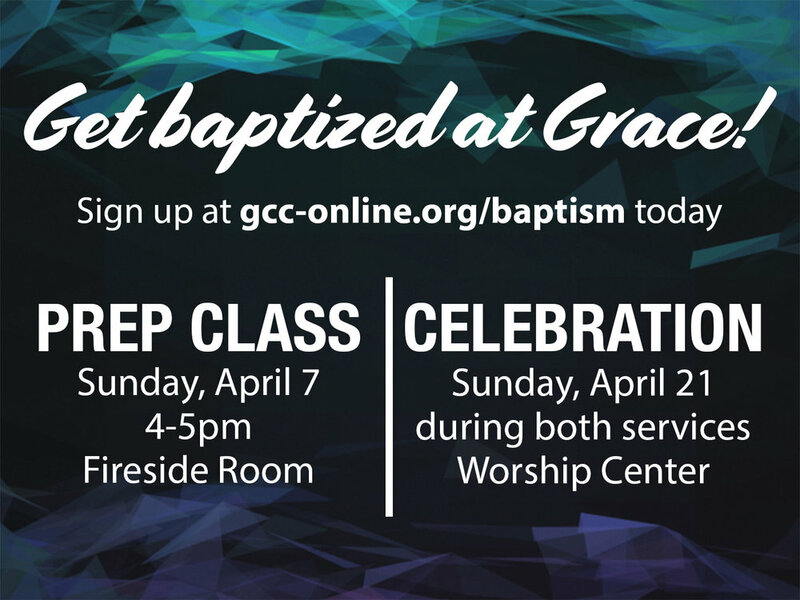 If you are interested in being baptized at Grace, the first step is to attend this required prep class. In the class you will learn about what baptism is and why we believe it is such a big deal, as well as learn about sharing your testimony of faith. If you would like to be baptized on Easter Sunday, sign up here. If you are interested but unable to attend this class, please make arrangements with Pastor Steve at stevefriesengcc@gmail.com.